Smoke fluid for dense and long-lasting misting. Suitable for large halls and open airs, etc. 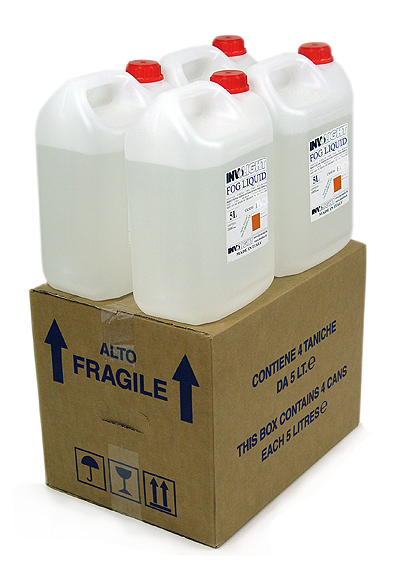 Our fluids are all water-based and manufactured in a quality factory in Italy. Therefore, it meets the highest quality standards and is harmless to health. Delivery in 5 liter canister.